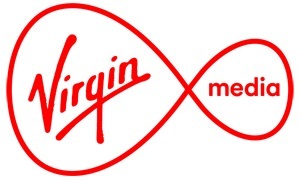 Virgin Media today announced a major expansion in its offering of international TV with the launch of three new countries on its Worldbox app. A host of international TV channels from Poland, France and Russia will be available for new and existing customers from today, allowing expats to stay up-to-date with the best of programming from their home countries. This follows the recent launch of international TV channels covering Spain and Portugal. Virgin Media’s new Polish Impreza collection will offer four channels for Britain’s biggest immigrant group, including TVP Polonia, the international version of Poland’s public service broadcaster, and leading commercial channels TVN International (ITVN), ITVN Extra, providing a blend of entertainment, news, sports and movies. The package also includes Kino Polska International, showcasing the best of Polish cinema with films from directors including Andrzej Wajda and Roman Polanski. Customers will also be able to access Kino Polska Muzyka, TVP Info and TVN24 as basic channels. French Bouquet serves Britain’s significant French population, with four channels, including three from public service broadcaster France Télévisions. France 2 is France’s biggest public TV channel, offering a range of programmes covering news, culture, movies and chat shows. France 3 focuses on national and regional insight, allowing customers to keep up-to-date with the latest from their home region, and offering cultural and educational programmes. France 5 is the home of French factual programming, focusing on societal issues, including health, education and politics. Bouquet also includes Cartoon TV French, a channel providing a host of kids entertainment. Russian Premiyera serves Russian-speakers in Britain with four channels. Planeta HD contains a host of documentaries, brought together in stunning HD, Bestseller offers the best in Russian-language movies, ranging from classics to the latest blockbusters, RTR-Planeta is a 24 hour channel offering TV series and comedy, and Moolt will entertain children with engaging cartoons. This will be followed shortly with another six channels, including THT Comedy and NTV Mir. The three new packs join the recently launched Spanish and Portuguese packs on the Worldbox. Spanish Viva offers four channels providing the best in Spanish entertainment, including Antena 3, AtreSeries, TVE, and movie channel MIS. Portuguese Coleta offers the 24 hour network news and entertainment network TVI, drama network TVI Ficção, kids network Criança TV, and Benfica TV, which broadcasts Benfica FC games live. The Worldbox app is included in the package for M+ or Mix Bundle customers and above. There are several basic channels available for free, with a charge for each of the five collections. TiVo customers can access Worldbox by pressing Red from ‘Worldbox’ Channel 834 or by selecting the ‘Worldbox’ icon from Apps & Games.